Despite the idyllic setting, I had a terrible night’s sleep. I woke at 4.25am and couldn’t get back properly so had a proper grump on by 9am. I think it had been brewing since the previous day. Most backpacking hikers get to that one day where everything just seems a struggle and it takes everything to drag yourself out of it. We had a good chat over a cuppa about many subjects, including pancreatic cancer, and bulls on the Wales Coast Path (disgruntled farmers in his opinion). 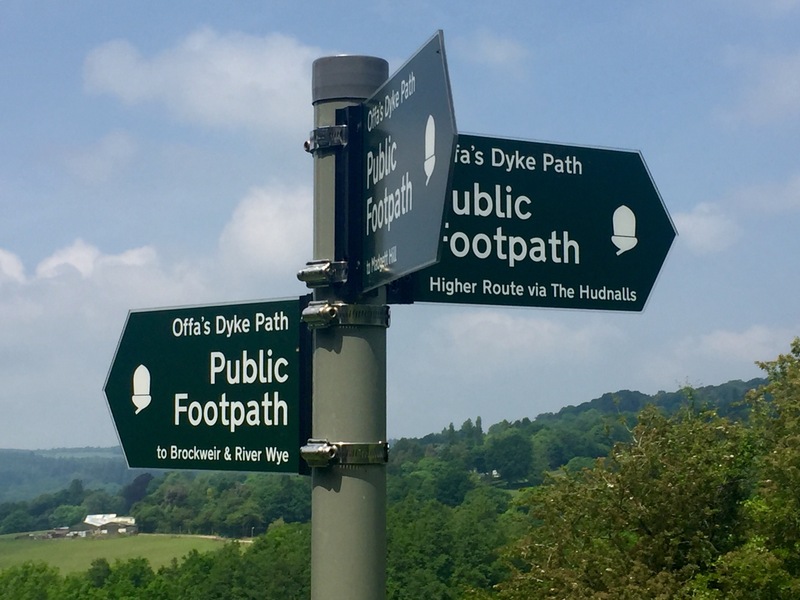 He told me that his campsite had humble beginnings and got started when Offa’s Dyke Path hikers started turning up in his field and pitching tents. Bit by bit they got the site to what it is today. It comes highly recommended by me; you could do a lot worse than slinging your tent up in this beautiful place. Brian even sent me on my way with a Mars bar. “You’re going to need the energy”, he said. He was right. Off I went on the trail. It was late morning and the humidity level was cranked up to eleven. 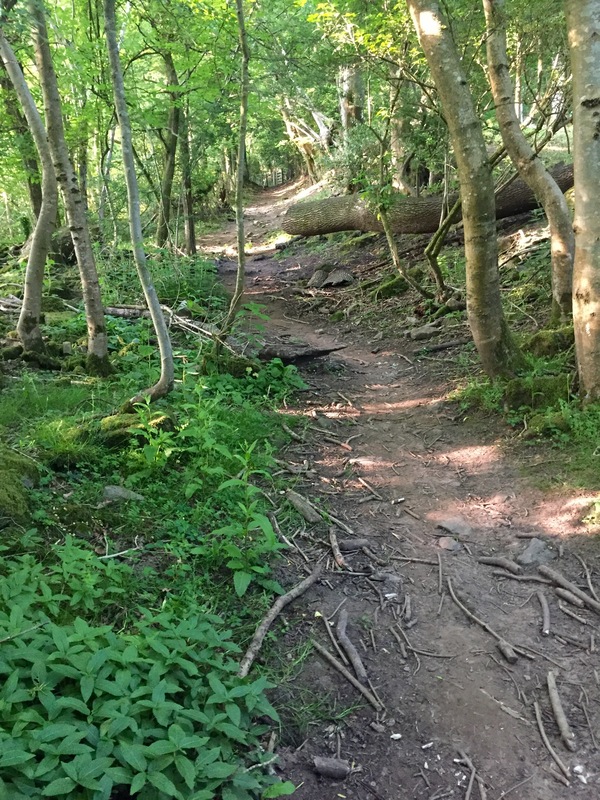 A short while after leaving the farm and taking a very sharp descent, the ODP turned into a choice of two paths. I needed to get to Brockweir in order to get some food so went left. I also wanted to get back to the side of the River Wye. Brockweir is a very charming little village. The path took me past The Brockweir Inn, and there was no way I was walking past! 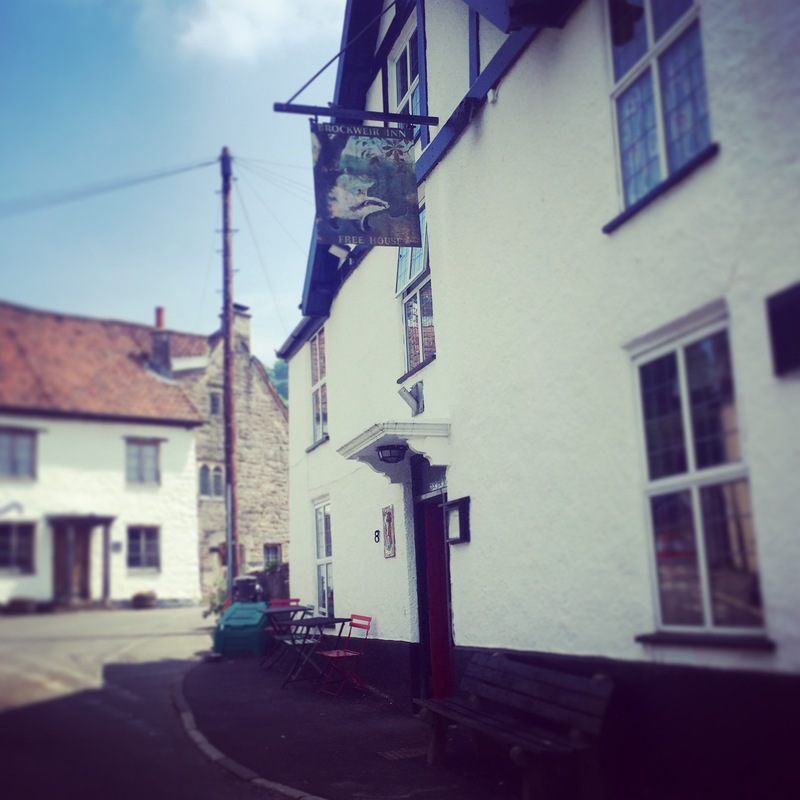 The advice I received from Will Renwick (youngest person to complete this route that I am on), was to stop at every pub and castle, so who was I to argue with such brilliant advice?! I received a tremendous welcome at the pub and was well fed. I got chatting to two friendly Wye fishermen, James and Colin, who kindly sponsored me. And I very much enjoyed talking with staff Sam and Nicky, who were fascinated with my kit. They were also generous enough to make me a packed lunch for later. 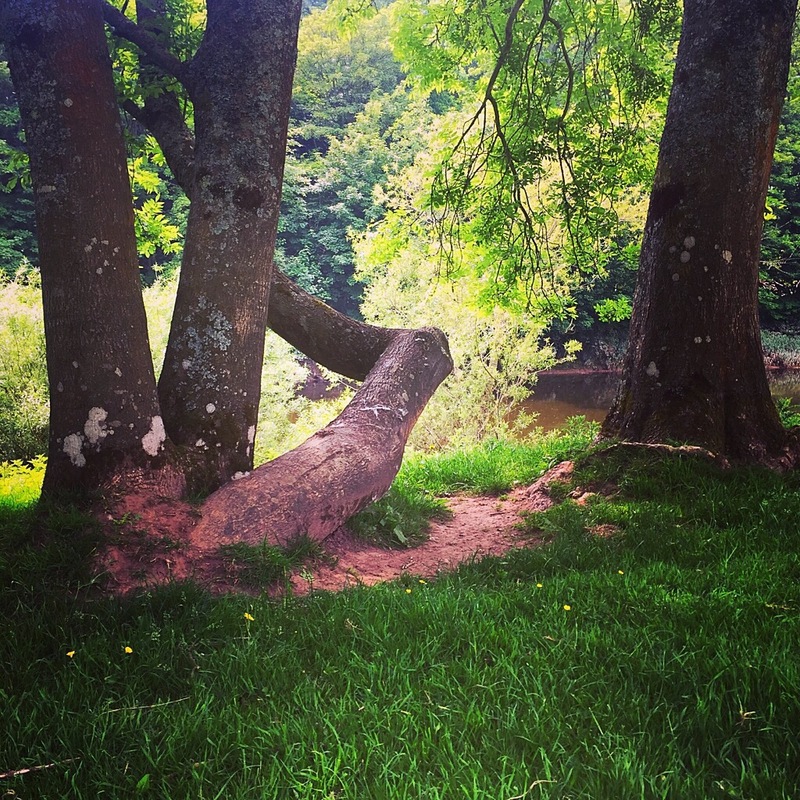 With my belly full, I rejoined the path which hugged the Wye. It was hot and muggy. I walked past hikers who were sweating profusely accompanied by dogs with their tongues hanging out, knackered. When I got to opposite Llandogo, I sat down underneath a large tree to do some writing. In a couple of kilometres, the path re-joined the other which had branched off before Brockweir. Suddenly my lovely riverside trail turned into an arduous and unrelenting ascent into the heart of Highbury Wood. I sat down on a stone, listened to the birds and got annoyed with myself. Hiking alone means plenty of time to think things through, which in turn means plenty of time to overthink things too. But more on that in another blog post. I saw that my solar battery pack was running low, as was my phone (which is what is throwing out my GPS signal and safety beacons). So I had to get a move on before I ran out of power and water. A sharp descent lay ahead. Now, as much as I hate the ascents, I think I dread the descents much more, since I dislocated my left knee last year. On the way up you have all your muscles firing for you. But on the way down it’s just a bit of cartilage between you and miserable knee pain. Ok, I’m exaggerating a bit but you know what I mean. Anyway, I was being super careful on the way down and minding my knees. And that was when I felt a twang at the top of my left quad. Out came the ibuprofen and on I limped like an injured hound. By the time I got to Redbrook my battery pack was dead, and I was down to a couple of per cent on my iPhone. I made it into Monmouth finally with no power left and in pain. However, I was able to sample the delights of electrical power, food and water. It’s the small things in life, it really is. Dal i fynd, dal i gredu!